GoXtra News: DJ Sabby secures 3 prime time shows on YFM! DJ Sabby secures 3 prime time shows on YFM! YFM’s official new radio line up sees DJ Sabby host 3 prime time shows on Gauteng’s premium youth station, placing him on radio 6 days a week over 7 shows. This impressive feat by the young, ambitious DJ Sabby, is the fruits of hard work over the past 4 years at YFM. DJ Sabby joined the Y-Academy (YFM’s radio training programme) in 2010. 6 months later he secured a spot on radio doing traffic. It wasn't until 2012 where DJ Sabby received his own show and starting having a more prominent role at the station. The 2014 line up sees DJ Sabby hosting the mid afternoon Drive Show for the first time. The slot was previously hosted by DJ Ankle Tap. "I'm super excited with how my radio career is progressing and words seem hard to find when I have to express my emotions. I have given 120% to the brand YFM and this shows what hard work and dedication can bring to one. #TheBestThingEver is my biggest slot in my entire radio career and I can promise my listeners that the show will be nothing but the best thing ever. Just lend me your ear for one day and I'll have you coming back for more” expresses DJ Sabby. DJ Sabby has kept his signature weekend African Boomboxx feature bringing it into his Friday drive show. 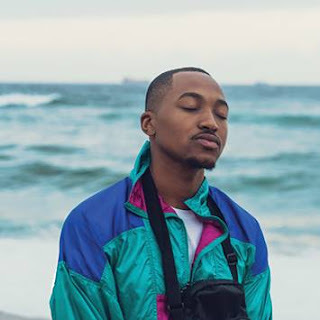 This feature is characterised by a 40 minute long African playlist and a Top 5 African Boomboxx chart which highlights the latest tracks coming out from across the African continent.